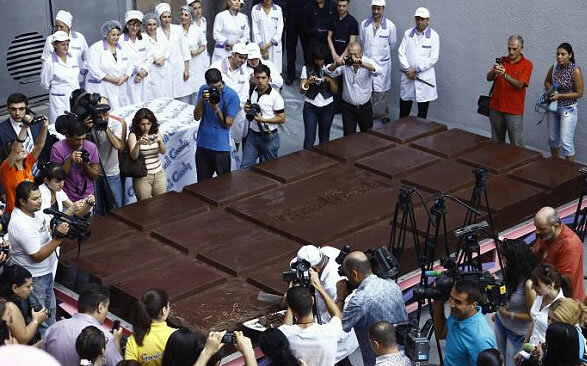 Home Latest Pictures World’s Largest Bar of Chocolate! 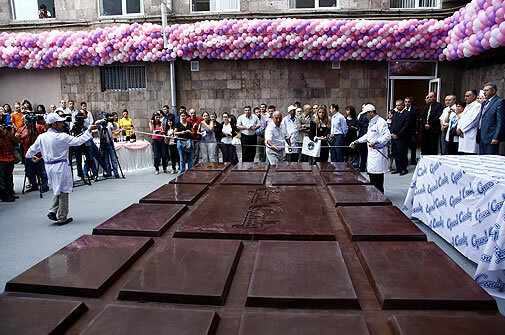 Armenian chocolate factory Grand Candy has created the world’s largest chocolate bar, weighing in at a grand total of 9,702 pounds. It took 48 hours to mix the chocolate, five of which were spent roasting and grinding cocoa beans.